"WITH EVERY PIECE OF AMERICAN MADE GEAR YOU PURCHASE, MITSCOOTS WILL GIVE AN EQUAL QUALITY ITEM TO SOMEONE IN NEED AND EMPLOY THE TRANSITIONING HOMELESS TO PACKAGE THINGS UP. " Working with a company like Mitscoots is such an honor for me. Today I've been given the opportunity to do a review their socks that you're going end up loving as much as I do! I've spent years do what I can to help people who are homeless. My first time being introduced to homeless people was with my ex-husband taking blankets and meals to people living on the streets in Seattle. I remember we'd go with people from our church or on our own with our first daughter when she was just a toddler. She made them smile so much! Then when we lived in Minnesota, we'd go down with the youth group to Salvation Army to feed people who were living on the street. It was amazing watching the children see the start reality of how people lived, but also how they could care for and love on them. 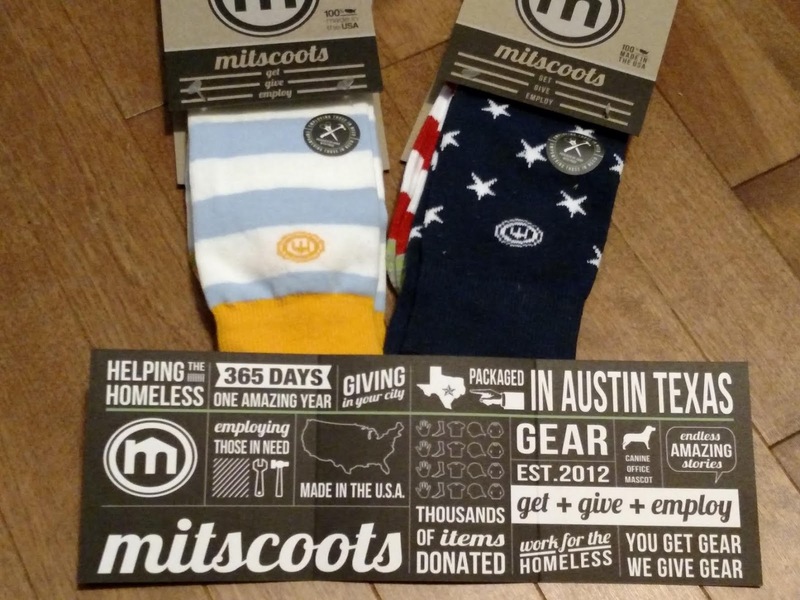 Mitscoots sees how important it is to help those who are in need and employ the transitioning homeless! How do they do that? When you purchase an American made piece of gear, they'll give back an equal quality item! Everything they make is 100% American made in the USA. 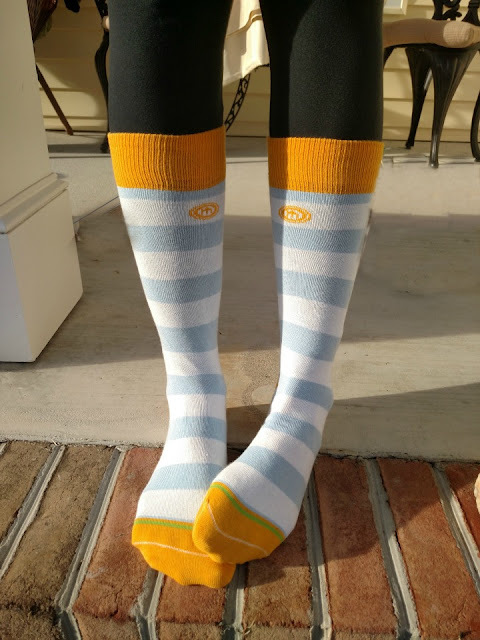 I received a couple pairs of their super adorable socks to use as reviews! Honestly, there are so many cute ones to choose from it was hard. The first pair I got are The Independence. Each pair of their socks are part of the #PatternOfGiving. You'll notice at the top of their socks, they have the Mitscoots logo. The other pair of socks I received were the Noonday! So incredibly cute. The reason they've got the name Noonday and their color is because of a company in Austin, TX that "uses fashion to create meaningful opportunities around the world by developing artisan businesses through fair trade." So much good coming out of our good ol' US of A! I absolutely love the color of their socks, and they fit wonderfully! Of course, they don't just have socks. Mitscoots also has hats, scarves, t-shits, and more! I'm seriously digging the beanies for the upcoming cold weather. I love the idea of them for gifts, because it's like you're giving twice! I like the noonday socks you're wearing! I like THE PINK - WOMEN'S SOCKS. Thanks. I like the ERIN - WOMEN'S ARGYLE SOCKS. Love the The Mac - Men's Houndstooth Socks! I like The Ginny-Woman's PolkaDot socks. Another pair I love are THE COLTON - WOMEN'S DIGITAL BLOCK SOCKS.. I like the THE LINDA - WOMEN'S POLKADOT SOCKS. I like the Ella women's pink stripped socks. I LOVE the JOY Women's Rainbow striped socks which of course are SOLD OUT! I absolutely love the Ginny - polka dot socks! I like THE ELLA - WOMEN'S PINK STRIPED SOCKS! The Gwen socks are pretty cool. I like the Black, Red, & White Plaid. I like the JOY and The Ella-- really I like them all, they look warm. I like the THE KELLY - WOMEN'S SNOWFLAKE SOCKS. I also like this pair of socks : THE GENO - WOMEN'S HOUNDSTOOTH SOCKS. I would pick the THE ELLA - WOMEN'S PINK STRIPED SOCKS. Love the different patterns they offer. The Kelly Women's snowflake socks. I like the Boot Socks in Charcoal. I like The Kelly - Women's Snowflake Socks. I like The Valorie socks! 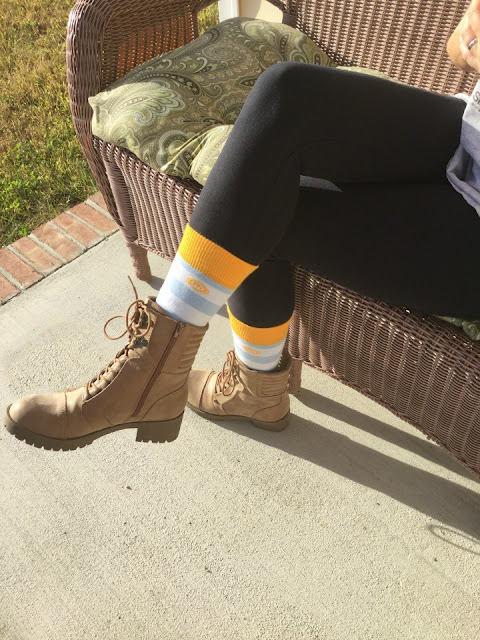 I love the THE COURTNEY - WOMEN'S DIGITAL BLOCK SOCKS! That green color is great! 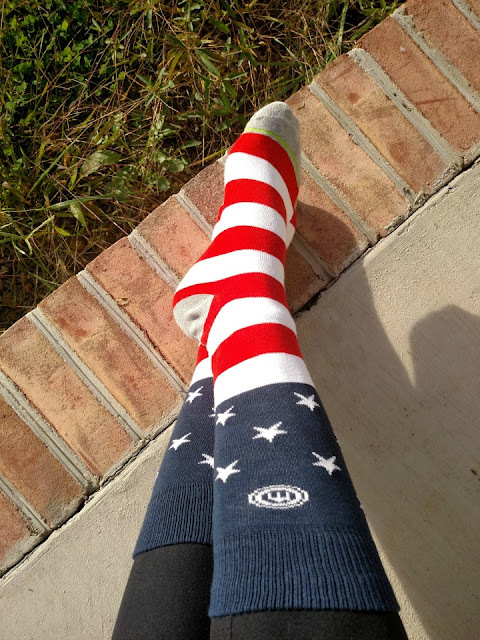 THE COLTON - WOMEN'S DIGITAL BLOCK SOCKS---those are some crazy looking socks. I love them! I like THE KELLY - WOMEN'S SNOWFLAKE SOCK. I like the Gwen Boot Socks. I like the Whitney gray boot socks. 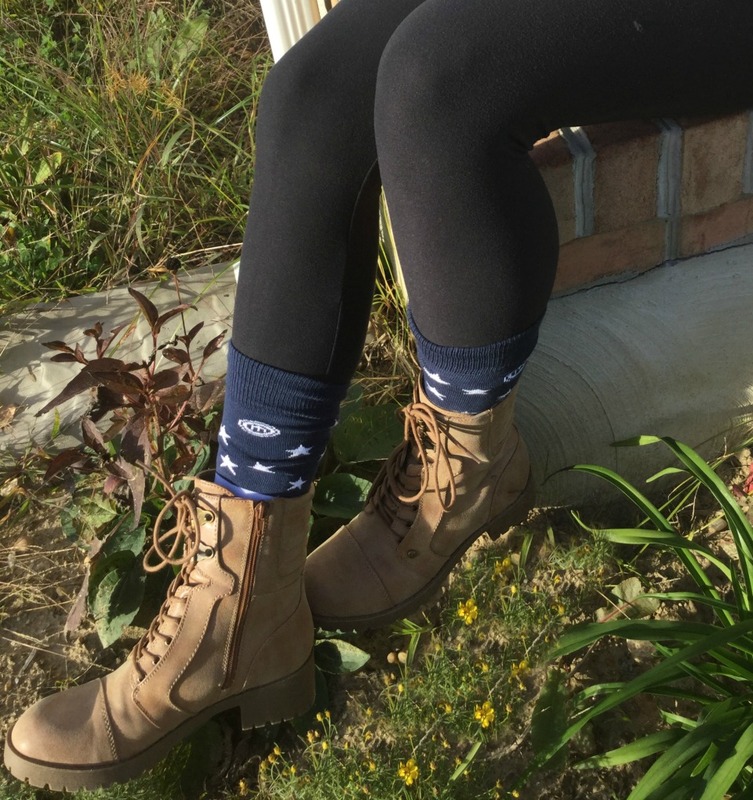 I love the Gwen Boot socks! I like the Erin socks! I really like the Ginny Women's PolkaDot socks. I like the Women's Jerry Socks. I personally love the BOLD MIX - WOMEN'S LOW CUT SOCKS 3-PACK. I love The Valorie- Womens Teal Striped Socks! They have so many awesome colors and designs, I want to collect them all now! :) Thanks for sharing. I love the Kelly- Womens Snowflake Socks. They will be perfect for Christmas. I also love the Kelly womens winter socks! I like the Snowflake Socks!! Thank you for the post. Oh Wow! I love your site & all the cool items. I think I love them all but if I have to choose The Valorie-Women's Teal Striped Socks. http://www.mitscoots.com/collections/womens/products/the-valorie-womens-teal-striped-socks. I love the kelly snowflake socks for women. I love the THE KELLY - WOMEN'S SNOWFLAKE SOCKS! I like the Gabriella.Cute in pink.